Mark's Tickets is the best place to find tickets for The Avett Brothers fans. Just check this page for any new events or schedule updates throughout the year. We sell tickets to every The Avett Brothers concert around the world. We know how passionate The Avett Brothers fans can be about country music, so we make sure to have hundreds of tickets for every concert available right up until showtime. For those looking for cheap The Avett Brothers tickets, we offer tickets starting at very low prices (many times below face value). We offer tickets in most sections of every venue that The Avett Brothers performs. Simply choose the city or venue that you are interested in below, and you will be able to see all of the available seats. 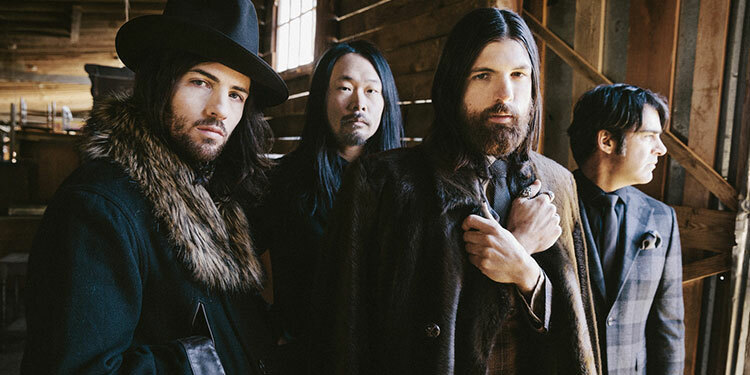 Do not forget that Marks Tickets also specializes in sold out The Avett Brothers tickets. No longer will sold out shows prevent you from seeing The Avett Brothers. The Avett Brothers /?e?v?t/ is an American band from Concord, North Carolina. The band is made up of two brothers—Scott Avett (banjo) and Seth Avett (guitar)—as well as Bob Crawford (double bass). Joe Kwon, (cello) and Mike Marsh (drums) are touring members of the band, with Kwon featured on recordings from 2007's Emotionalism and later. Following on from Seth and Scott's former rock band Nemo, the Avett Brothers combine bluegrass, country, punk, pop melodies, folk, rock and roll, honky tonk, and ragtime to produce a sound described by the San Francisco Chronicle as having the "heavy sadness of Townes Van Zandt, the light pop concision of Buddy Holly, the tuneful jangle of the Beatles, the raw energy of the Ramones."